2017 has been a year which has constantly reminded us about our PC security in the form of various malware attacks (especially ransomware) that bombarded enterprise networks and individual users alike. These security attacks served as a crude reminder that our PC(s) should at least contain the basic form of protection – the antivirus – in order to successfully combat these attacks. Therefore before this year winds up, we decided to take a look at some of the antivirus programs (including our very own Comodo) which have withstood these attacks and therefore are AV(s) which users can install in order to safeguard their PC(s) in the upcoming year. But before we start, a look at the factors which influenced our thoughts. Following factors were taken into consideration before deciding the top 5 antivirus programs of this year. User Interface: Just like any other software, an easy user interface is critical for antivirus packages as well. Because no matter how sophisticated the technology employed, if an antivirus package does not have an easily understandable user interface, all will be lost, as the users won’t be able to take the necessary actions. Speed (Detection Rates): Yes speed matters. Especially considering the rate at which the modern-day malware is evolving. Antivirus packages have to act quickly in stopping malware in its tracks before it does the damage. Accuracy: Throwing up a lot of false positives will only make users lose faith in antivirus packages. Therefore accuracy is critical and was taken into consideration. Success Rate Against Evolving Malware: Most of the successful malware are new ones (zero-day malware) which cannot be predicted that easily. So success rate against evolving malware was our final consideration. We had no issues giving this antivirus the No.1 spot. Becuase it easily beat others hands down. Comodo Free Antivirus appeals to both tech-savvy and ‘just being cautious’ PC users. Has enough rich features which can make users go ‘is this really available for free!’. Above all, has the potential to successfully combat the ever-evolving modern-day malware. Ability To Handle Zero-Day Malware: majority of the security havoc is caused by unknown malware (or zero-day malware) which hasn’t been previously detected and therefore is hard to predict. 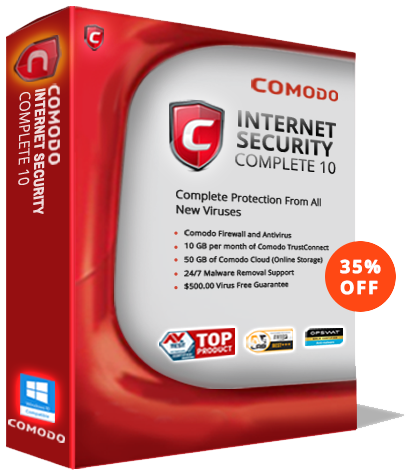 Comodo antivirus has enough features which ensure zero-day malware is dealt with properly. This is what truly sets this antivirus apart from the others in the IT security industry. Despite being banned by the US government, this antivirus software still commands respect in the IT security community. Pretty effective against malware, it also safeguards against identity theft along with securing your online financial processing as well. Heuristic Engine: to detect previously unknown security threats. Regular Updates: which ensure evolving malware is dealt with properly. Comprehensive Scanning: scans everything from PC to USB drives. Quality Support: Kaspersky provides 24/7 industry standard support. Avast follows next. Because it’s been around for a long time. And because – just like Comodo antivirus – it can detect previously unknown viruses (using its heuristics engine) and other malware. Being the most installed antivirus product, no free antivirus program list would be complete without Avast Free Antivirus receiving a mention. Home Network Security Feature: which can scan your network to find infections and vulnerabilities, such as identifying routers that are using default passwords and checking if your network is accessible from the Internet or not. This antivirus package finds a place in our list because it serves as the perfect example of the fact that antivirus packages need to simple enough to be used by users to the fullest extent (our topmost consideration). Bitdefender is incredibly easy to install and configure and uses up very little system resources. Stays Up-to-Date: in order to handle the latest security threats. This is a fully functional antimalware tool which can successfully combat against the whole lot of security threats – viruses, trojans, worms, spyware, adware, and various other kinds of malware, making it one of the best free antivirus programs in the market. Advanced Heuristic Tools: which ensure modern-day malware is tackled efficiently. McAfee is becoming synonymous with the word antivirus. No one can deny this. And rightly so. Because it comes packed with advanced features that ensure your systems are well-protected from malware and other such security threats. Secures Online Payments: makes your financial transactions hackproof. Prevents Data Theft: ensures your online identity does not get compromised. Stays Up-to-Date: to successfully thwart the modern-day malware. Prevents Ad Blockers: stops online ads from popping up unnecessarily. It is a simple and straightforward antivirus package which offers real-time virus protection, malicious URL blocking, and a customizable spam filter. Then users also have the option of making the use of their 24/7 available customer support. URL Filtering: block malicious URLs efficiently. Reliable anti-spam: prevents malware and optimizes user productivity. User-Friendly: which ensures almost anyone can use it successfully. Quick Scanning: which does not interrupt user activities. Another competitive free antivirus package on the market. Therefore deserves a mention on this list. Because, well, it’s free and it’s pretty effective against malware. Easy to Install: can be completed within minutes and does not require any technical expertise. Easy On PC(s): doesn’t take up much space, therefore enhances PC performance. Compatibility: is compatible with Windows 8, Windows 7, Windows Vista, Windows XP and Mac as well.